Why Invest in Optimizing Your Emails? Growing a company in a competitive environment requires wise resource allocation and strong execution of the chosen strategies. Email falls into the “if it’s not broke, don’t fix it” trap. 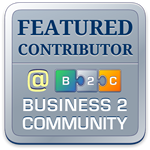 The tool works so well at generating revenue, people fail to use it for other opportunities. This keeps companies from growing as fast as possible. There are four reasons to send emails to customers and prospects: Acquisition, retention, sales, and service. Simply put, send emails when you want to acquire new customers, keep the ones you have, increase sales, and provide service. Most companies are very good at delivering on the increase sales objective but fail miserably at the others. People miss opportunities to acquire new customers, improve relationships, and increase satisfaction because email marketing is so good at generating revenue. Adding the other three objectives provides a competitive edge while increasing sales. It is a classic win-win scenario. Isn’t it time your company started getting more from your investment in email marketing? The first step is to complete a mini review of your email marketing program to see how effective it is at acquisition, retention, sales, and service. Make a list of the emails sent over the last year and place them into the appropriate category. What percentage of the emails was designed to acquire new customers? This includes all emails sent to prospects and those that specifically ask customers to share the information with a friend. (Placing a “Tell a Friend” button in the email doesn’t count.) 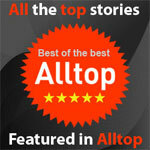 How effective were the acquisition emails at generating new prospects and customers? What changes made them better? How much did it cost to acquire new people? How many of the emails were specifically designed to keep customers coming back? This question is often met with the response, “our promotional emails keep customers coming back.” If your company is Walmart or you can effectively compete with low price leaders, this response is right. If your company is like most, you don’t have the margins to guarantee the lowest prices and need to create loyalty based customer relationships. Do your sales emails consistently generate revenue or are you seeing peaks and valleys? Email promotional programs are very predictable once you have enough historical data. Peaks and valleys that are not seasonal suggest that there may be underlying issues affecting your revenue. Subscriber fatigue is one such issue. It happens when people receive the same type of emails over an extended period of time. The first sign of subscriber fatigue is a decline in open rates. If there is nothing new, then why open the email? The second sign is a higher click-through rate on opened emails. When people are ready to make a purchase, they look for a discount. The combination of lower open rates and higher click-throughs indicate that your emails may have become a coupon mecca. Derek Silvers, the founder of CD Baby, says this is the most successful email he has ever written. The recipients shared it with friends, posted it on blogs, and ultimately introduced thousands of new customers to the business. If the fun content doesn’t fit your brand, find the words that keep your company’s image and entertains your customers. They will share it too. A good email marketing strategy increases sales. A great email marketing strategy increases sales, introduces the company to new people, and keeps customers’ happily coming back for more. The only way to move from good to great is to optimize every email sent to customers and prospects. 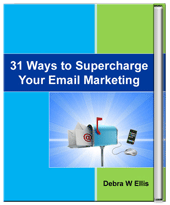 This post is an excerpt from 31 Ways to Supercharge Your Email Marketing. 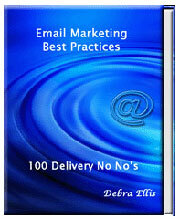 Well simply because you just can’t ignore the leads you might get with email marketing.